Released by the Navy, Kelsey Gumm threw herself one heck of a party. She served hamburgers and pizzas, practically every flavor of potato chip, and all kinds of sweets. Entertainment came courtesy of reality TV; you name the show, it probably was on heavy rotation. This party raged for more than three years. Mostly by herself. A fit 165 pounds at the start, Kelsey surged to 225. While hoodies and sweatpants hid her widening frame, nothing could mask her growing anger toward herself and the world. She knew she needed to get in shape. But that meant exercising and exercising meant getting her heart rate up – and she wasn’t about to trust her heart. A heart problem is what started all this, forcing her to retire from the military for medical reasons at 27. Finally ready to shake things up, she got started this time last year. Within months, she shed the baggy clothes – and the bad attitude. She soon found a new love, a new career path and a new role promoting women’s heart health. 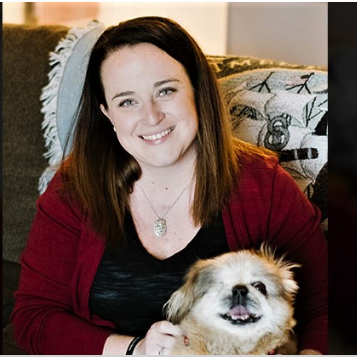 As 2019 gets rolling, and folks vow to get healthier, Kelsey’s story shows that once you are ready to make a change anything is possible. Among Kelsey’s earliest memories are listening to her Grandpa tell fascinating stories about his days in the Navy. At the start of her senior year in high school, while peers were picking colleges, she enlisted. Only 17, her parents had to sign consent forms. She graduated high school and started boot camp weeks later. A month in, she was running laps around a track, chanting in cadence with her peers, when she collapsed. It was thought to be exhaustion and dehydration. A year later, she finished hauling her gear from one barracks to another, turned to the woman next to her and said, “I don’t feel so good.” She awoke in the back of an ambulance again. This time, she told the medical staff about a funny feeling in her chest. They suggested the episode was an anxiety attack. The next year, Kelsey passed out in Japan. Details are fuzzy, except for the plausible explanation: having slept little, she’d consumed a lot of coffee, prompting another dismissal for exhaustion and dehydration. And when her heart started racing while on a ship isolated in the Pacific Ocean, the medical staffer again thought it was likely anxiety. A promotion brought Kelsey back to boot camp, this time as an instructor. By the time paramedics arrived, she was fine. At the hospital, she told the nurse practitioner her history of passing out, and that the tingling and color change were new. The nurse practitioner recommended she see a cardiologist. Her biggest worry? She couldn’t work out again until the doctor cleared her. Throughout Kelsey’s life, her mom has been a nurse. At this point, mom was working in a cardiac intensive care unit about 45 minutes away, so she accompanied Kelsey to the appointment. They chatted throughout Kelsey’s echocardiogram and through a second round when contrast was added. They didn’t think much of it when the technician zoomed in on an area and took a lot of pictures. They did notice the long wait that followed. Kelsey was diagnosed with a condition that affects about 12 of every 1 million people. 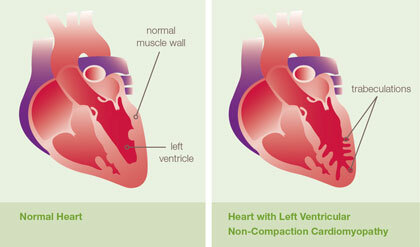 It’s called left ventricular non-compaction cardiomyopathy. In simplest terms, the chamber of her heart that helps pump blood didn’t develop correctly, leaving it unable to either fully contract or relax. There’s no fix, only management. All those times she collapsed? The doctor said they were likely cardiac arrests; hitting the ground probably restored her heart rhythm. To prevent further episodes, doctors implanted a device that’s both a pacemaker to monitor her heartbeat and a defibrillator to deliver a shock if an abnormal rhythm is detected. She was medically retired Dec. 28, 2014. Kelsey had been on the cusp of a big promotion. She also was halfway to 20 years in the Navy, a juicy target because it triggers retirement benefits. What really hurt was losing the only career she ever wanted and all that came with it – her identity as being a member of the Navy and the camaraderie with her peers. All too soon, Kelsey was devouring an entire pizza while watching “Biggest Loser” and cursing the Kardashians. She yelled at the TV often. Watching “Say Yes to the Dress,” she thought no one would marry someone with heart disease. Kelsey eventually worked part-time at Starbucks, then as an event coordinator for the USO of Wisconsin. She took college classes toward a history degree. She even had a relationship come and go. By late 2017, enough things were headed in the right direction for her subconscious to end the pity party. That’s the best explanation for her fierce reaction to the picture of her carrying her nephew, an image she’d seen many times. On New Year’s Eve, Kelsey and her best friend continued a tradition that’s their alternative to resolutions. They made “dream boards” for the coming year. She began with a pantry sweep. The first week of January, she replaced junk food with healthier products. It would be great to say the pounds melted away. But it wasn’t that easy. 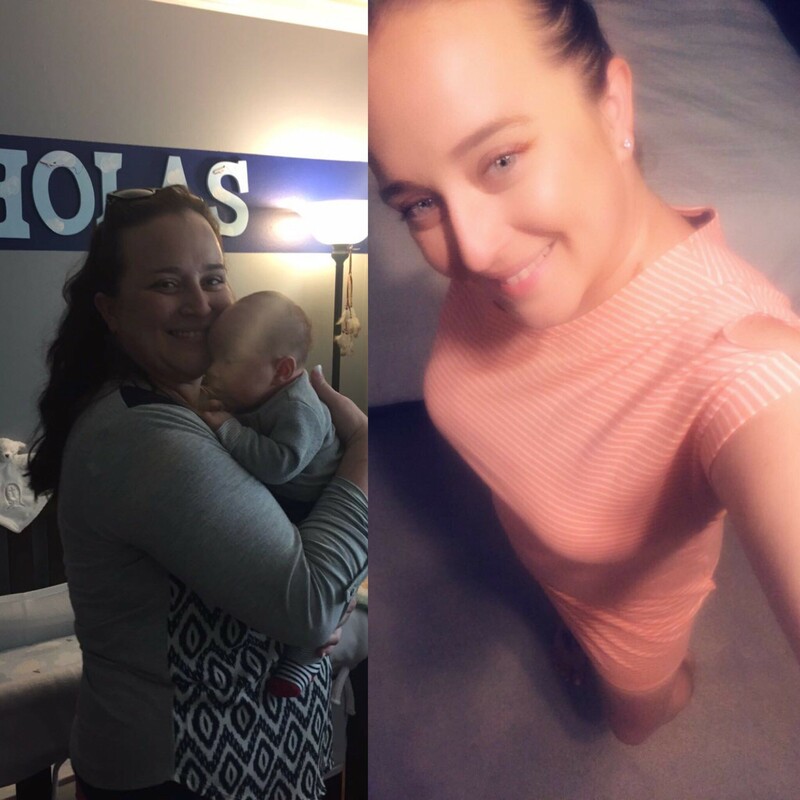 She sometimes celebrated a 5-pound loss in ways that put the weight back on. Still, she was learning. To soothe her soul, she joined a Wounded Warrior Project support group. Wounded Warriors aren’t only soldiers who lost limbs in combat. Membership includes those felled by disease. They’re all bonded by having overcome a brush with death and no longer being in the military. “We understand each other on many levels,” she said. Kelsey’s new pals were doing the Soldier Ride, a four-day, 88-mile bicycle trek. With her doctor’s encouragement, she signed up. Rain wiped out the first three days, so they did other things, like play baseball. Kelsey felt fine and had fun, upping her confidence for the final day, a 33-mile ride. Twenty miles in, she reached a steep hill. She began hyperventilating. A staffer encouraged her to keep going. Rounding a corner toward the finish, she saw a throng of people waving flags. Kelsey began pedaling for hours along quiet country roads near her home. Wind whooshing through her hair, she analyzed her life – where she’d been and, more importantly, where she was going. A new sensation overcame her. “I felt unstoppable,” she said. Others noticed, including a guy she thought was cute. “Your personality and zest for life is an attractive quality,” he told her. They’ve been dating for months. 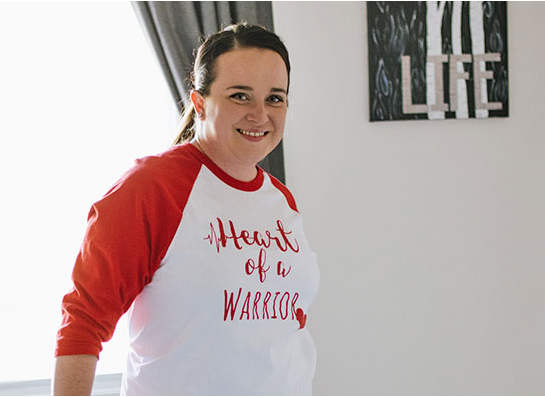 Since her diagnosis, Kelsey had been involved in support groups for female survivors of heart disease. Her new energy spurred her to become more involved with my organization, the American Heart Association. In September, she received our Heart with Hero award at the Greater Milwaukee Heart & Stroke Walk/5K Run. She’s since been chosen for the 2019 class of Real Women for Go Red for Women, our initiative to increase women’s heart-health awareness. This gives her a higher profile and wider platform to inform and inspire. Kelsey is getting so good at it, and enjoying it so much, that she changed majors. Teaching history is out; communications is in. Her first taste of connecting with others actually came a few years ago, after writing a first-person story for a Navy magazine. A sailor diagnosed with the same condition reached out to say thanks and get advice.